In caregiving and healthcare, decisions can be final, irreversible. Family caregiver decisions made in haste may be regretted later. For example when a decision is made without enough information, when the right questions are not asked or when absolute belief is given to the opinion of another without the inclusion of simple reasoning regrets may occur. How many times do the emotions of others involved in a situation quickly become our emotions and lead us down the path to making the wrong decision? How do we know what or who to believe? Especially when we’re in the midst of an emerging crises and a decision must be made – now. In any situation requiring an important decision, it is critical to seek individuals, whether in our own families or an expert or advocate, able to set aside the emotion and the chaos of the situation to help us focus on realities, available options and consequences of the choices to be made. It is important to think critically giving consideration to available options. From my personal experience, mistakes are made daily – lives are lost daily due to the provision of erroneous information based on emotion or personal opinion rather than expertise. It is difficult to know that we are taking the right action or making the right choice especially when we find ourselves in unfamiliar territory. Our initial reaction may be to take the recommendations of others whom we believe to have the knowledge and background to assist by virtue of their physical presence in a doctor’s office, hospital, skilled nursing or assisted living community. Many families in crises attach themselves to the first sympathetic or empathetic person they meet without asking if this person is a reliable source of information. Has this person been in a similar situation before? What was the outcome of their recommendation? What is this person’s formal expertise and training? How many family caregivers find themselves standing in a hospital room or a nursing home room with their loved one in distress? A decision must be made immediately relative to the provision of care. Community staff is rushing here and there in an attempt to offer support but none of them are the final decision maker or the person who will live with the decision well after the fact. Not all healthcare employees have ever been in the situation of a family caregiver having to make a life or death decision, yet many opinions are given. 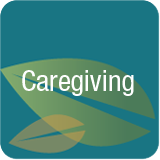 To whom will you as a family caregiver listen? To persons involved but not really knowing the background of your loved one’s care? To your inner self who knows more about this person than any other person living? To information gleaned from a physician? To medical test results offering information to allow you to understand the situation and to make a factual, informed decision? 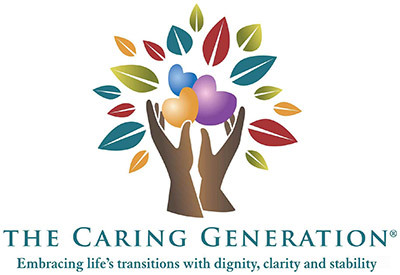 To an expert who provides advocacy, coordination and solutions to family caregiving situations? This year I was personally involved in two events that could have resulted in the death of two clients IF I had agreed with the recommendations of the community staff whose opinion it was that my client “was actively dying”. In both events my client had a rapid change in condition that was later diagnosed and treated as pneumonia or a urinary tract infection. In both situations, community staff recommended that I leave my client in their community without treatment, to die. One community called me to question my written instructions on a healthcare directive that directed sending my client immediately to an emergency room in the event of a change in health condition. In both cases, I disagreed with community staff opinions and sent my client to the hospital to receive treatment; both individuals remain among the living and are doing well. The reality is that most family caregivers would have taken the advice of community staff and done nothing to seek care for their loved one who likely would have died because of treatment withheld. Family caregivers in first time crises situations don’t know to question or even what questions to ask. Individuals needing care lack the ability to speak for themselves, especially when health takes a sudden turn for the worse and they are unable to speak or appear delusional. This results in a lose-lose situation. A family member who lives with regrets because of possibly making a wrong decision and the premature loss of a loved one’s life. While most caregivers are unaware that professional advocates exist, it’s in situations of uncertainty that an advocate can help provide clarity, ask the right questions and support decision making that results in a positive outcome. If you are a healthcare professional reading this article, know that it’s natural to want to give opinions and advice without considering the potential harm that might be done. It’s easy to think that all situations are similar; they’re not. While it is our professional responsibility to give information and an opinion it’s also our professional responsibility to do this in a balanced manner using critical thinking and allowing family members to make the choice. What if a recommendation you make results in death or harm to another living being? What if you assumed a family member knew or understood alternatives that were not mentioned? Decision making in caregiving and healthcare can be overwhelming for family caregivers and dangerous for healthcare professionals if we don’t think critically asking why, what else and what if, to arrive at options and solutions that may not have been previously considered. Before you make a decision that will irrevocably change your life or the life of another person make sure you deliberate and take the time to investigate options, play devil’s advocate and educate yourself. Often decisions made in crises can’t be re-done. The negative outcome of many decisions made in haste could be forever changed if given a thoughtful moment and non-emotional consideration. When in doubt, seek a professional advocate to provide support to you and your family member.